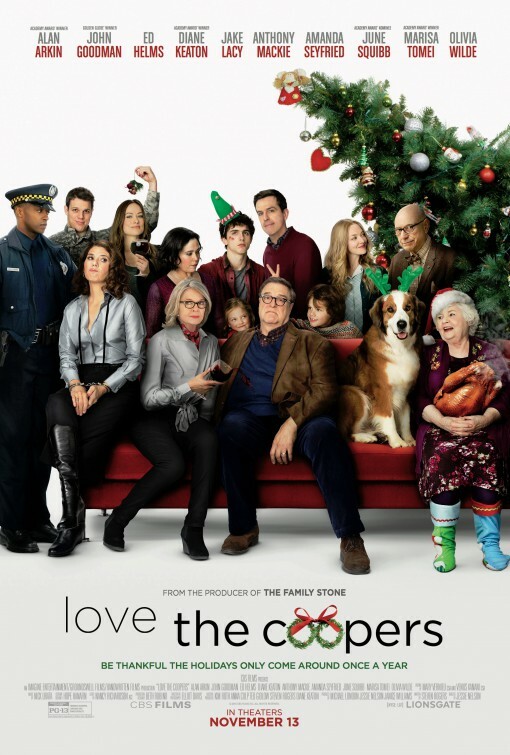 Today I had the opportunity to go to an early screening for the new Christmas film Love the Coopers. It’s the kind of movie which is difficult to review because I can’t really defend it yet I didn’t hate it either. I am positive critics will savage this film and perhaps it is just my penchant for cheesy Christmas movies on TV from Hallmark or Lifetime that allows me to say I had an okay time watching this movie. 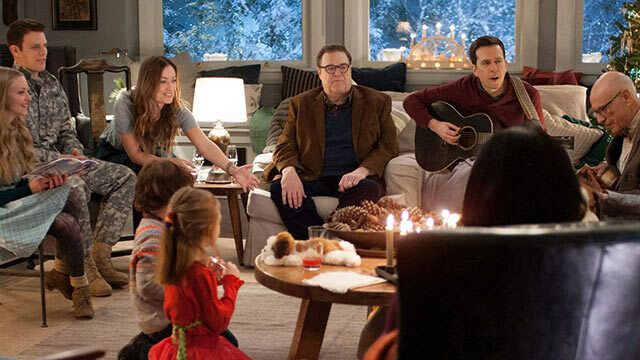 Love the Coopers is a story we’ve seen a million times in everything from National Lampoons Christmas Vacation to the Family Stone. 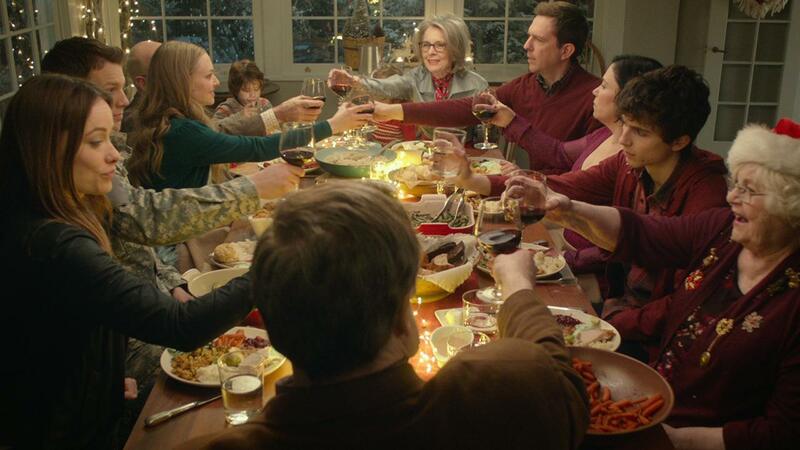 It’s about a big family with parents (John Goodman, Diane Keaton) trying to host the perfect Christmas for their kids or everything will be ruined. Goodman and Keaton have no chemistry and their story arc isn’t believable at all. Ed Helms as a down on his luck divorced Dad looking for a job so he can get the presents for his kids. 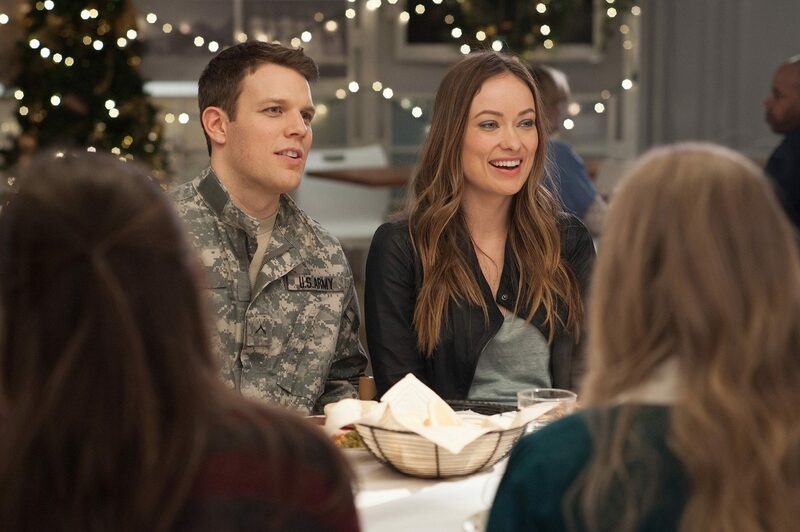 Olivia Wilde and Jake Lacy have a meet cute at an airport where she gets him to pretend to be her fiance (groan…) because she doesn’t want to hear grief from her parents on her life choices. June Squibb is the goofy Aunt Fishy and then several kids with stories of their own. The worst plotline was with Marisa Tomei as the old maid who attempts to shoplift a piece of jewelry for her sister (Diane Keaton) and she ends up doing psychotherapy on the arresting officer in what seemed like the longest drive to whatever precinct they were going too. It annoys me in films when therapy and especially something as complex as this man is evidently going through is whittled down to a few epitaphs and expressions. So now it seems like I hated the movie. I didn’t. I can’t even explain why I was moderately entertained by all this ridiculousness. Call it escapist entertainment if you will but I suppose we all have our genres that we will accept a lot of nonsense. Cheesy Christmas movies is mine. 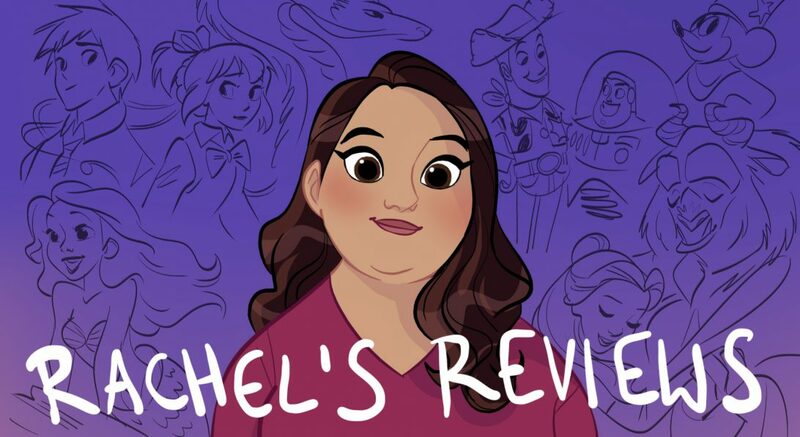 I suppose perhaps part of it is that I see the hijinks that happen in my own family and the drama and I think if that was made into a movie it wouldn’t look that different. There’s just something about the holidays that invites that kind of sentimentality and fluffy storytelling. I mean seriously when was the last great emotional holiday film? I wish this was good a family drama as say Dan in Real Life but I bought most of it. Steve Martin does the voice-over narration for the film, which I actually liked and I thought a lot of the dialogue wasn’t half bad (except for the Tomei section. That was awful). The performers are all trying and it definitely looks nice. I took one thing from the script that I have been pondering. I’m not sure who said it but someone says “the problem with the holidays is we try to schedule happiness. That might work for kids but not adults”. I think that is so true. I love the holidays. I love decorating the tree, making treats, buying gifts, being with loved ones. However, I do sometimes leave things feeling a little bit let down. It’s like I am anticipating magic when magic can’t be planned. Last year I spent Christmas mostly by myself, which was a little bit sad. I had family at Christmas Eve and went to a friends for brunch but most of the holiday I was alone. It was hard but in a way it was a relief. None of the pressure of being with family and being single at Christmas. It could just be an ordinary day and I could think about all I have to be thankful for. I don’t know if that makes sense but I liked that thought of the holidays trying to ‘schedule happiness’. So, Love the Coopers isn’t a good movie but I still had an ok time watching it. It’s as simple as that. Aside from some very bad teenage kissing (intentionally so for ‘jokes’) there really isn’t anything to offend people. I was a little annoyed how they make the conservative army guy such an outsider. Only insane people believe such things! Sigh…but this is basically a Hallmark movie as far as content goes. I did like the way it used non-Christmas music in the soundtrack in interesting ways. It’s basically a Hallmark movie in every way except for higher caliber of actors. So if you like that kind of holiday film than give this a go. If it sounds awful I guarantee you will hate it. Here’s the trailer which will give you an idea if it is your cup of tea. Don’t think I’ll ever watch this film, but Olivia Wilde…sigh…. 😀 !